SimCity hasn't had the best first month, with all the server issues, disabling of features, and just straight up failure on EA's part to anticipate the demand of the game. After all SimCity launched with 6 servers and now has over 20. 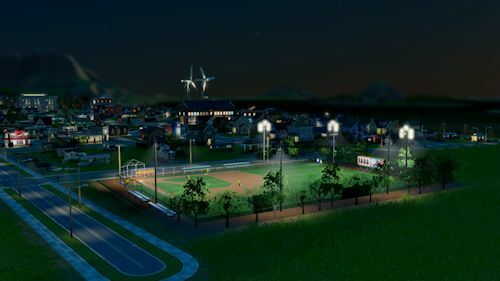 After handing out a free game for people's troubles and continued support with patches and tweaks, for many, the co-op city simulation has dropped off the radar. One of the major points for me for not playing anymore is the lack of Cheetah speed, a feature that was disabled early on. Now Cheetah Speed is back in the latest update, letting users run their simulations at maximum speed and allowing you to accomplish a lot more in a little time. Along with the announcement of the return of this feature comes word that a 2.0 patch is in the works, which, we hope adds many more improvements to the game. Our regions have gone all but abandoned for co-op play and there's very little incentive to find our way back to all those Sims. Be sure to read our co-op review of SimCity. In other SimCity news the Mac version of the game is coming in June and if you own the PC version or vice-versa you'll have access to it on both platforms. Page created in 0.5636 seconds.